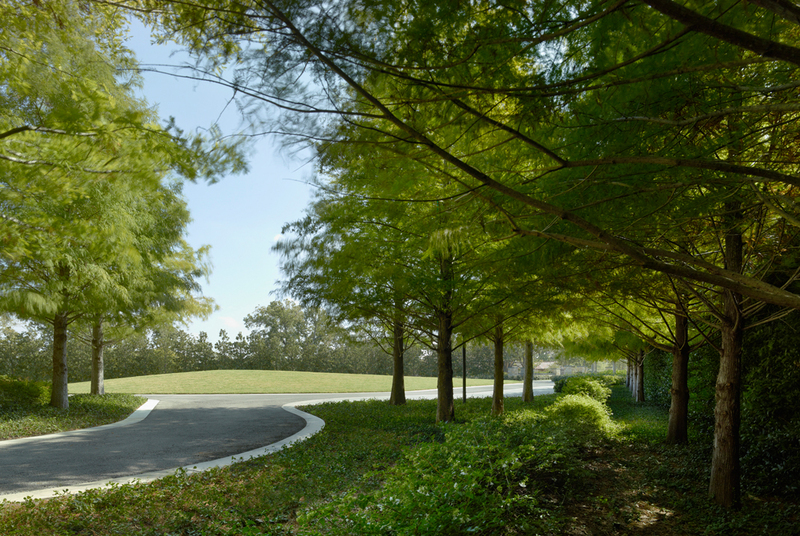 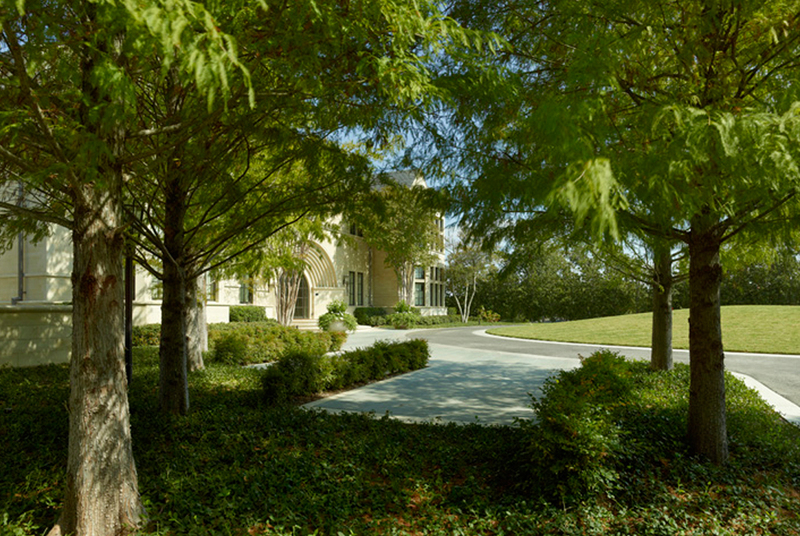 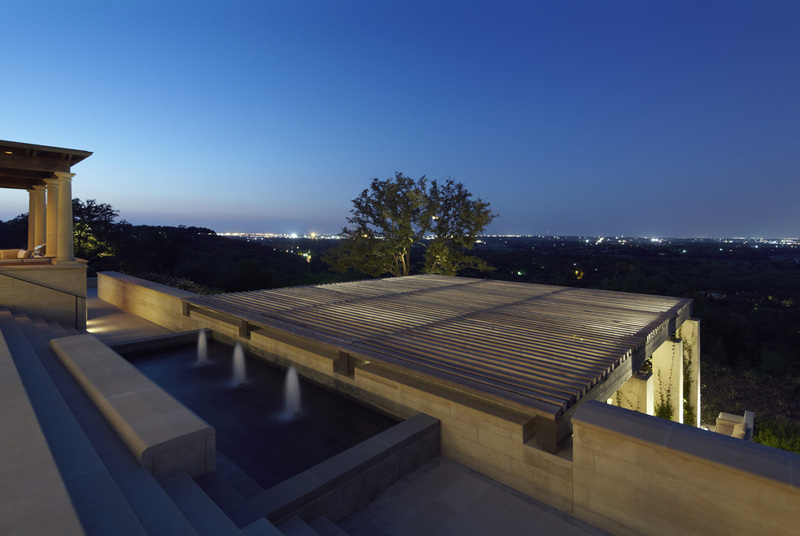 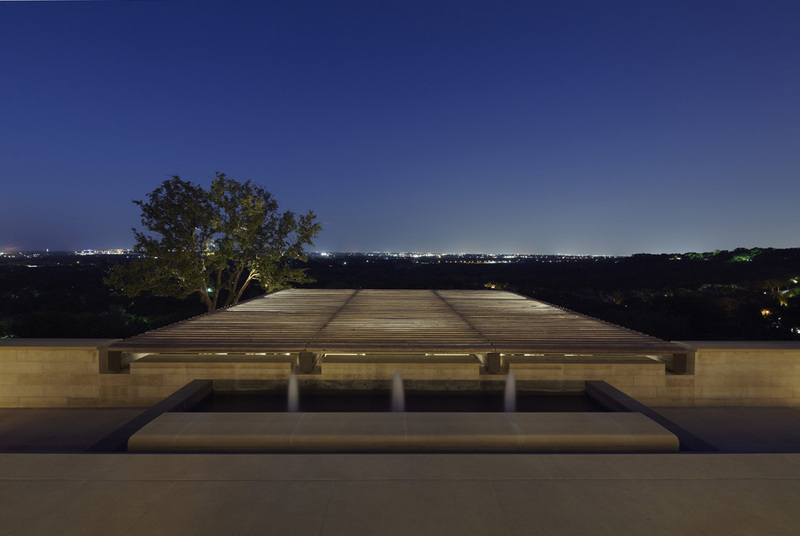 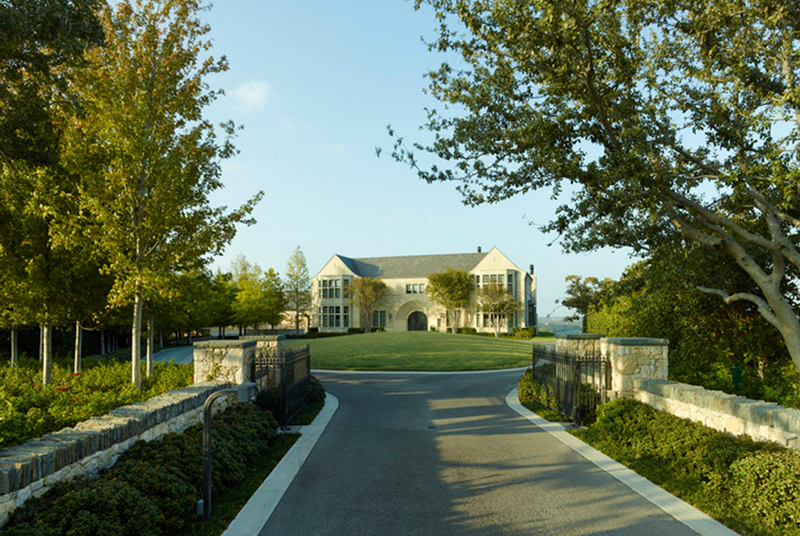 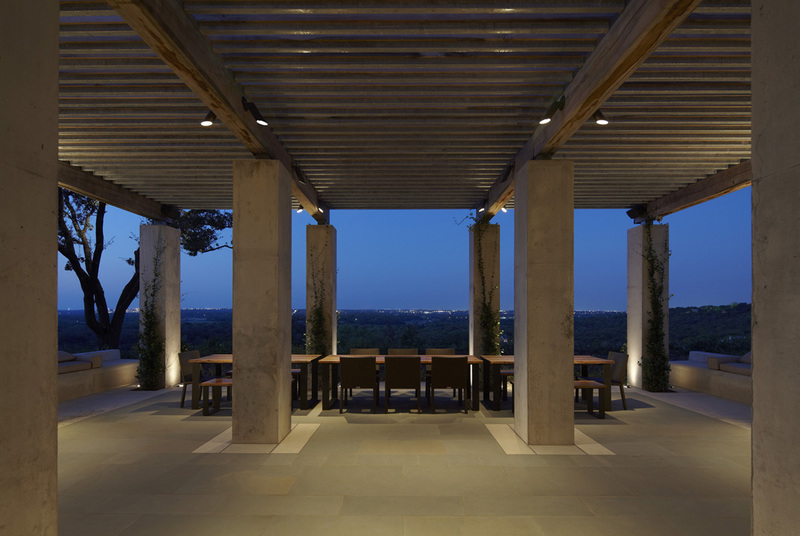 The plan for a residence located on a bluff in Fort Worth organizes the site into two distinct landscapes. 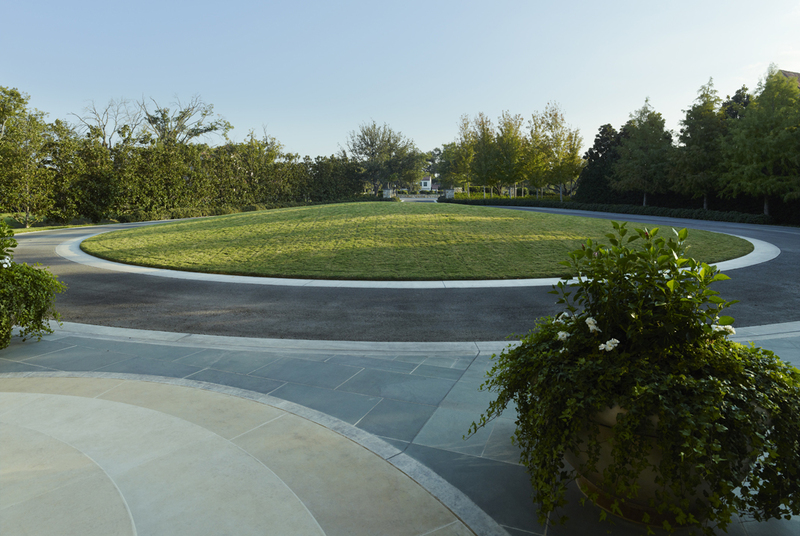 The front landscape favors the plan and spatial expansion and the teardrop-shaped driveway navigates the edge of the space presenting the house with dignity. 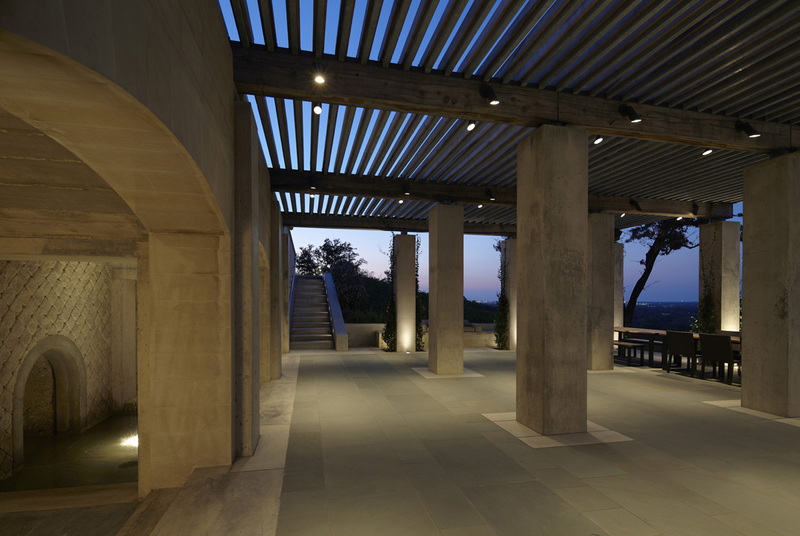 The back presents the north horizon, opening views with a sectional landscape of terraces that culminate at a hidden grotto. 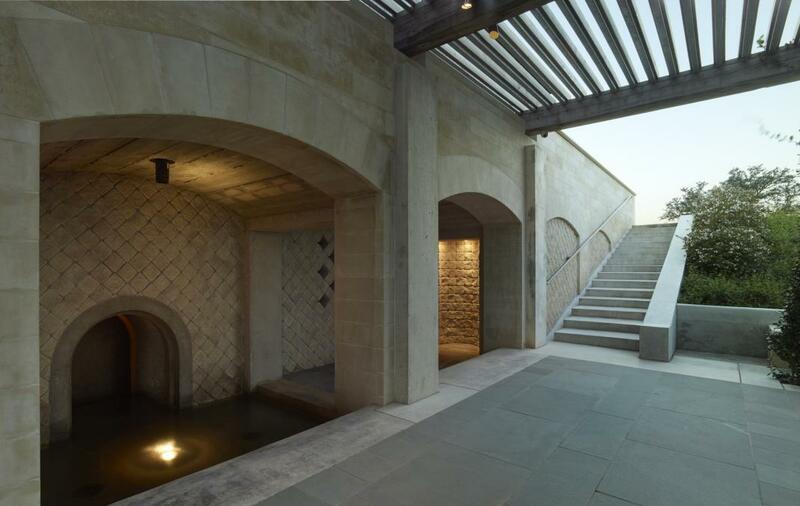 Taken together the front, the house and the terraces form a conventional three part spatial sequence setting the grotto up to be discovered. 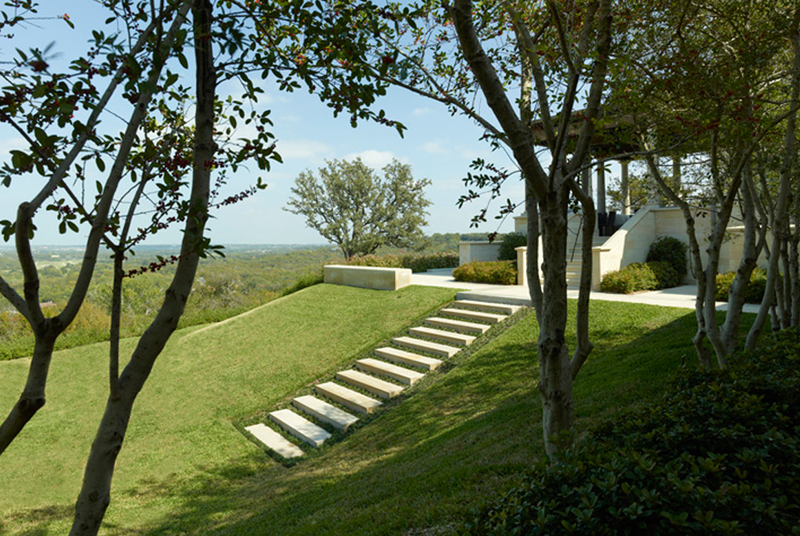 The top of the trellis extends the floor elevation of the house provoking curiosity and an invitation to descend into the shaded room and fountains waters of the grotto.